How much do you spend shopping on Amazon every month? Wouldn’t it be nice if you could earn cashback on Amazon? According to a report by Consumer Intelligence Research Partners, Prime members spend an average of $1500 a year and non-Prime members spend about $625. And, it’s not really surprising. You can save a lot of money on Amazon. Its prices are usually low, so if you’re on a budget, it’s a great place to shop and it offers a huge selection of products. You really can purchase anything on there, from pet food to dishwasher tablets. It really does offer the “Earth’s Biggest Selection“. But despite spending that much money, most of us don’t earn any cashback. Most of us don’t realize we can actually earn cashback on Amazon! In reality, there are many easy ways to get cashback every time you shop on Amazon. Amazon itself has a number of different cards that give you cashback. With Prime Reload, just reload money onto your Amazon Gift Card Balance and you’ll earn 2% back. Transfer $100 for example, and get $102 to spend. All you need to do is link your debit card and bank account, and use them to transfer funds to a gift card. This has to be one of the easiest ways to get cashback on Amazon. You have to be a member of Amazon Prime to get the benefits of Prime Reload. Amazon has its own credit card, called the Amazon Rewards Visa Signature Card. 5% back on purchases for eligible Prime members. And, when you’re approved for the card, you receive a $50 Amazon Gift Card. The Amazon Store Card, as its name suggests, is a store gives you access to special financing on orders worth $149 or more. And, if you pay off your purchases in full within 6, 12 or 24 months, as applicable, then you won’t pay interest. When you join Prime, you are automatically upgraded to the Amazon Prime Store Card, and you get 5% back on your purchases. Surprisingly, some credit cards give you cashback on your purchases. Get Amazon cashback with Discover It. The Discover It Card is a cashback credit card. Using it, you earn 5% cashback each quarter in rotating categories, like restaurants, wholesale clubs, gas stations, and of course Amazon.com. 5% Is a pretty high cashback rate. You also earn unlimited 1% cashback on all other purchases. What’s great about this card is that Discover actually matches all of the cashback you earn during your first year. There’s no annual fee involved either. With the Chase Freedom Unlimited Credit Card, you earn 1.5% cashback on everything that you buy – including your Amazon purchases. There’s no annual fee for this credit card. This is another good cashback credit card that you can use to get money back on your Amazon.com purchases. With this card, you earn 1% cashback when you make purchases, and then another 1% when you pay for those purchases. So, essentially, you get 2% back. You aren’t charged an annual fee either. With the American Express Blue Cash Preferred Card, you earn 6% cashback on your purchases at U.S. supermarkets – up to $6,000 and then 1% subsequently. You also get 3% cashback at U.S. gas stations and select U.S. department stores. For purchases everywhere else, you earn 1% cashback. So, if you get this card, then you could earn 1% on all of your purchases at Amazon.com. Another good cashback credit card is the Bank of America Cash Rewards Credit Card. For every purchase that you make, you get 1% cashback. You get 2% cashback on purchases at grocery stores and wholesale clubs and 3% back on gas as well. There’s no annual fee with this card either, which is always a plus. This is another great cashback card from American Express. You get 3% cashback at supermarkets on up to $6,000 per year, and then 1% after that. Also, you receive 2% cashback at gas stations and select department stores. And, finally, on all purchases, like those made on Amazon.com, you get 1% back. This is another card that doesn’t come along with an annual fee, which is great. This Visa Card gives you 2% cashback on every eligible net purchase. This is a pretty good cashback rate for a credit card. What’s great about this card is that there are no categories. You get rewards back on everything. There’s no annual fee for this card either. With this card, you get 1.5% cashback on every purchase. There’s no limit to how much you can earn either. And, there are no rewards categories either – you can earn points on everything. Plus, there’s a great offer available to new cardholders. If you spend $500 on purchases within the first three months of your account opening, then you receive a $150 cash bonus. This is another card that doesn’t charge an annual fee. With the US Bank Cash + Signature Visa Card, you get 5.5% cashback during the first year on your first $2,000 in combined eligible net purchases. After that, you earn 5% back. You also get 2.5% cashback on one everyday category during the first year – after that, you earn 2%. Finally, you earn 1.5% cashback on all other eligible net purchases for the first year and 1% back after that. Of all the ways to get cashback on Amazon purchases, we feel that cashback websites are one of the best. 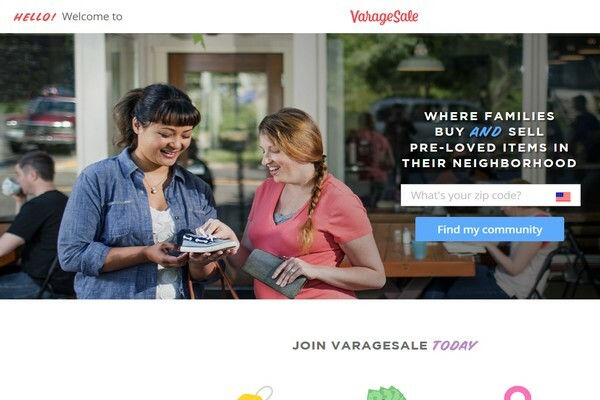 Many of these websites act like shopping portals. You shop at your favorite stores, like Amazon, through them, and in return, you get cashback. Others give you cashback coupons and rebate offers. The reason why we consider cashback websites to be so awesome is that the cashback rate offered is generally quite high. Mr. Rebates has tons of cashback offers for a variety of departments on Amazon.com. You can find some really great deals on there. Ebates is a cashback and coupons website. Through Ebates, you can shop at more than 2,000 stores, including Amazon.com, and earn cashback in the process. You can get cashback for select departments at Amazon, like clothing and furniture. Cashback rates vary, but, at the time of writing, the website offers 3% cashback. There are additional coupons available too. ShopatHome is another cashback and coupons website. 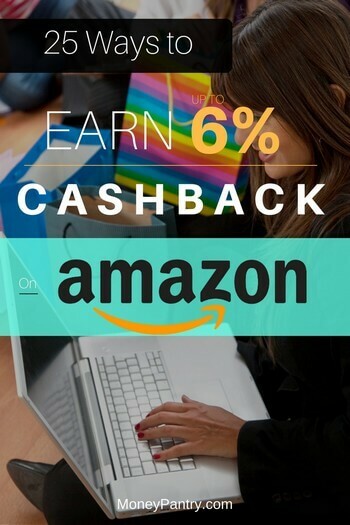 Through ShopatHome, you can earn up to 6% cashback at Amazon. You can get money back when you shop at a variety of departments, like Kitchen & Dining and Shoes. Through TopCashBack you can get 6% cashback when you shop at select departments at Amazon.com. Coupon Cabin mainly offers Amazon coupons and promo codes, but they sometimes have cashback offers as well. At the time of writing, for example, there’s a coupon available that gives you $50 cashback on orders over $50. With BeFrugal, you get up to 6% cashback at select departments on Amazon.com. Ibotta is a rebates app and website. With Ibotta, you earn between 3% and 5% cashback. You can get cashback on multiple categories, like Luggage, Home & Kitchen and Pet Supplies. MyPoints is a rewards website. When you shop through the website, which features more than 1,900 retailers, including Amazon, you earn points. The website has been around since 1996, so it’s certainly well-established. You can redeem your points for cash via PayPal, or for gift cards or travel miles. Another platform you might want to check out is RetailMeNot. It’s primarily a coupon website, but it also has some cashback offers too. At the time of writing, you can get $5 back when you spend $35 at Amazon. Another website offering Amazon cashback is ExtraBux. This site offers up to 4.8% cashback at Amazon – which is a pretty generous amount. If you’ve read our review of Swagbucks, you know that Swagbucks is one of our favorite online reward and cashback shopping sites. Not only you earn rewards for playing games, watching videos, taking surveys and other simple online activities you probably do online every day, you also earn cashback on hundreds of stores, including Amazon.com. You earn up to 3 SB (Swag Bucks – which is Swagbucks point currency) for every dollar you spend. That’s up to 3% cashback on all your Amazon purchases! Upromise is an excellent site/program created many years ago to help students save for college. It also has a shopping portal where members can earn up to 3% cashback on all Amazon purchases. Are you a frequent flyer/traveler? If so, you can even earn Amazon cashback when you fly! JetBlue has a partnership with Amazon where they give you three bonus TrueBlue points (frequent flyer miles) for every dollar you spend on Amazon.com. To make sure you get the credit, you have to use your unique link that is given to you when you join JetBlue’s TrueBlue frequent flyer reward program. This is about 5% cashback (one TrueBlue point converts to about ¢1.5). As you can see, there are so many ways that you can get Amazon cashback. 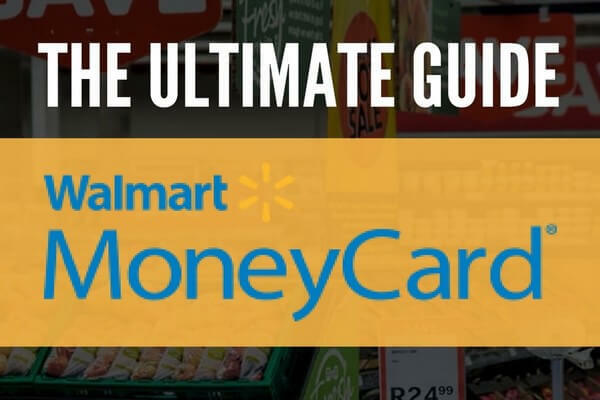 If you shop on the website often, then you should definitely consider using at least one, if not a few, of these options. If you can get $5 back for every $100 you spend for example, then it’s certainly worthwhile! I mean, if you are going to shop on Amazon anyway, you may as well use these options to get some of what you spend back in the form of Cashback.